AMON - Jack G., 71, Sept. 7; funeral 10 a.m. Monday, Obetz United Methodist; Schoedinger-Norris. 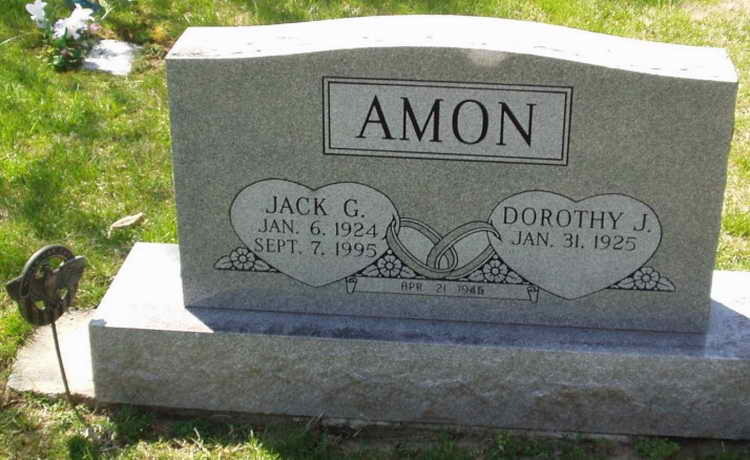 Grave ,marker for Jack G. Amon in the Wesley Chapel Cemetery, Hilliard (Franklin County), Ohio. Pvt Amon took part in the Operation Market-Garden jump and was awarded a Bronze Service Arrowhead device for the Holland campaign and Airborne operations.